You’ve all seen the coverage of Mardi Gras on Bourbon Street. Looks like a Halloween frat party, right? Well, the real life experience is actually quite different from what you’re probably picturing. Sure, you’ll want to wear a costume. Sure, you’ll probably consume a little more than your share of purple drinks. But in reality, Mardi Gras is a joyous celebration of culture, history, community, and family (yes, even kids!). And if you do it right, you’ll probably walk away from your time in New Orleans wanting to experience more of the local culture. Mardi Gras is the ultimate gathering. Mardi Gras season started on Twelfth Night (January 6, 2016) and will continue through to Mardi Gras Day on February 9th this year. The real partying gets going with the Krewe du Vieux parade on January 23rd and parades will roll pretty much every Thursday-Sunday from that point on, with Mardi Gras weekend being the ultimate culmination of parades, house parties, costumes, and revelry. In this predominantly Catholic city, the idea is that we party hard, harder, and then hardest on Fat Tuesday before heading to church on Ash Wednesday to atone for our sins. For anyone planning a trip to New Orleans during any part of the Mardi Gras season, we’ve collected some of our favorite Nola destinations. Covering everything from where to stay, where to eat, where to shop, and where to throw a party, we’ve only hit the tip of the Nola iceberg (granted, levee might be a better analogy down here). So, grab your glittery dancing shoes and get packing! Rum aficionados, this is the place for you. Cane and Table features a rum focused cocktail menu, with rum punch options changing daily. If you’re feeling peckish, be sure to order the puffed pork rinds, they are to-die-for. 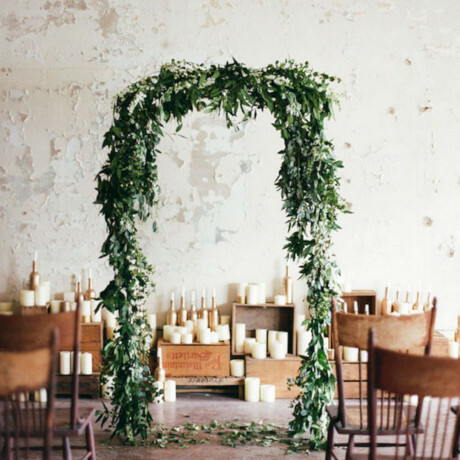 There’s something very Old Havana about this raw space, with its crusty brick and plaster white walls, shiny black painted wood ceiling, and minimal rustic décor. The courtyard here does not disappoint and be sure to raise a glass to the sailor at the end of the bar. Once you land at the Louis Armstrong Airport, Uber to the nearest Daq Shaq for a drive-through daiquiri and head to check in at the Old No. 77 Hotel & Chandlery. 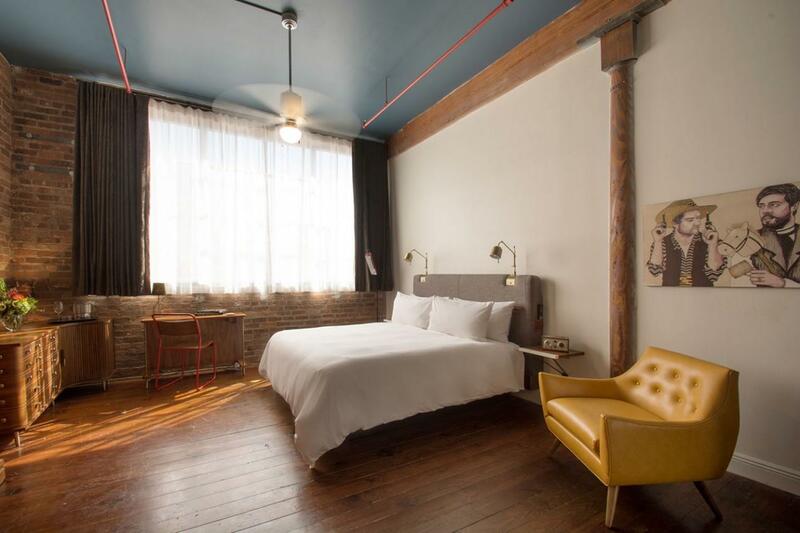 This newly renovated mid-1800s warehouse reopened in 2015 and the rooms are modern vintage in design, with super comfy beds and an amazing restaurant, Compere Lapin, downstairs. Even if you end up staying elsewhere, the restaurant is worth a visit for oysters and sparkling rosé. 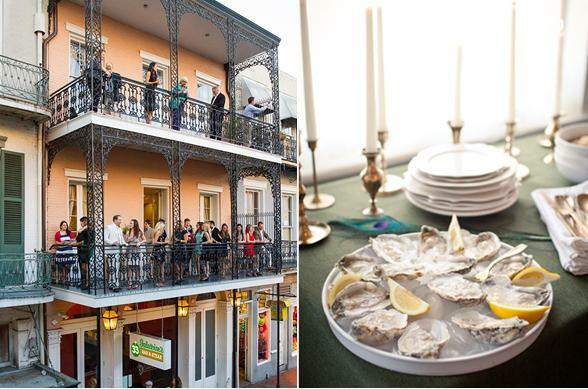 Equally stylish and centrally located, the Q&C Hotel is another gem of the “new New Orleans” hotel scene. 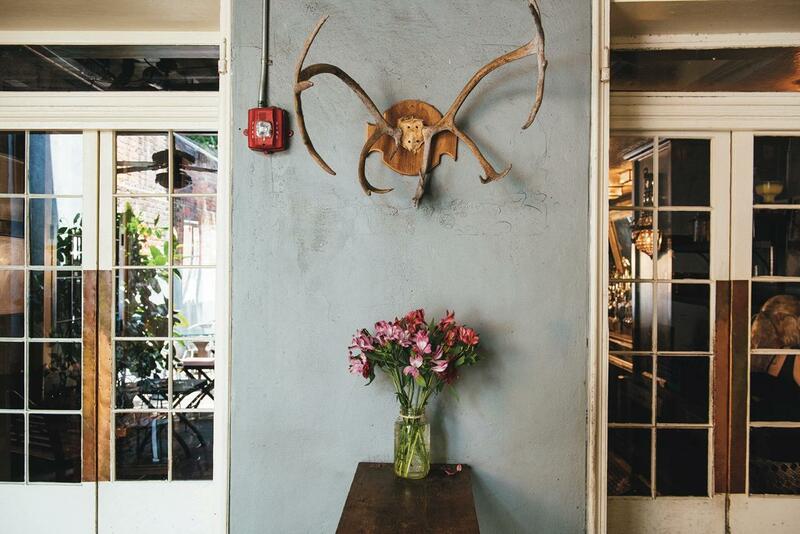 Think exposed brick, original wood floors, high ceilings, kitschy wallpaper and the like. There’s a bar, a whiskey room, a library, and more. Happy hour at their bar lasts for three hours daily, but we’re pretty sure you could be happy at any hour in this setting! Located just a block from the parade route, you’ll want to make sure you download the parade tracker app if you’re staying here so you don’t miss any of the floats or marching bands. Craft cocktail central, Cure is located uptown and well worth the ride out of the quarter if you’re looking for a little escape from the downtown madness. The happy hour here is an awesome way to kick off an evening and the daily punch selection is always fun and festive. Plus, it’s a great way to see what an Uptown neighborhood looks like. 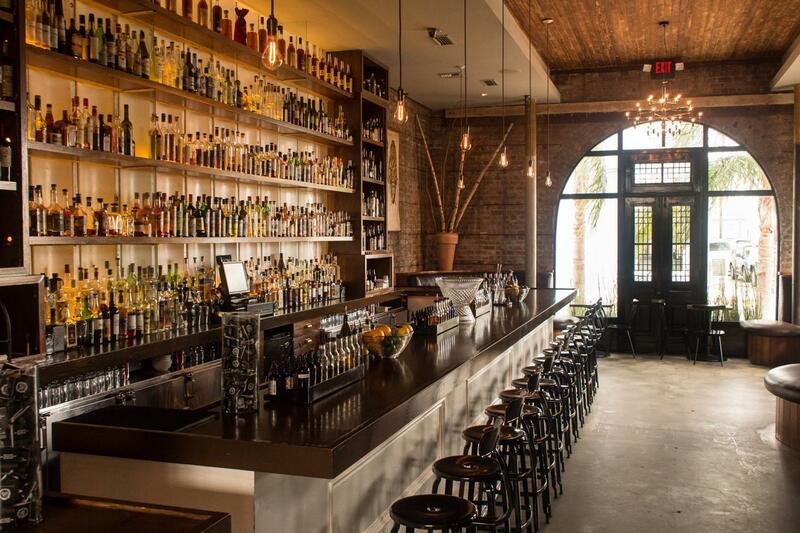 Be sure to check out Freret Street’s music venues and lesser-known restaurants. Coming soon! 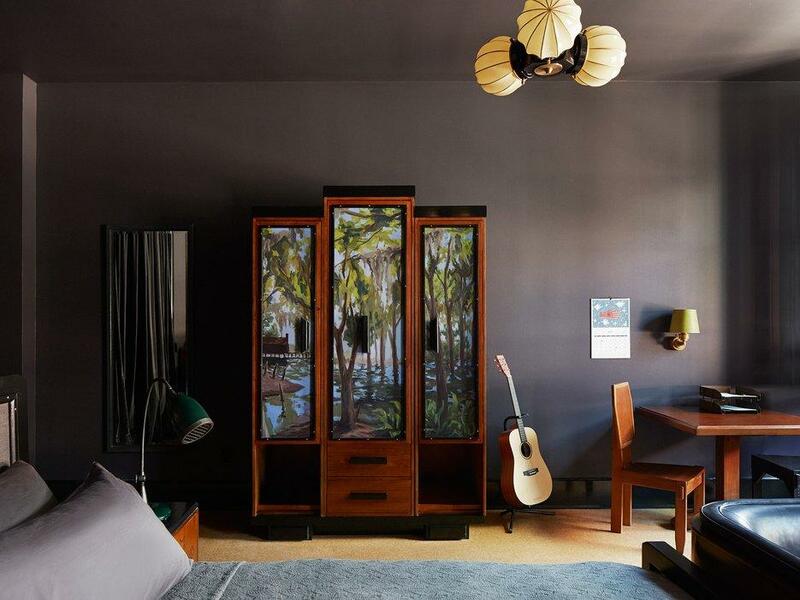 The Ace Hotel Group has announced an opening date of March 14th , 2016 for their new Big Easy digs and while that is after Mardi Gras, it’ll be open in time for Jazz Fest. 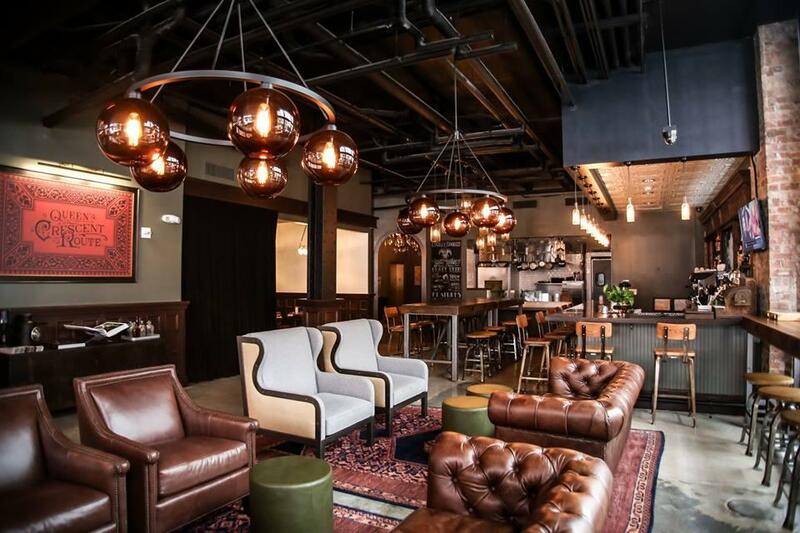 Arguably one of the hottest hotel openings of 2016, the Portland-based hotel brand has announced that this location will feature 234 guest rooms, a rooftop pool bar, Stumptown café, and a craft-centric bar and restaurant. 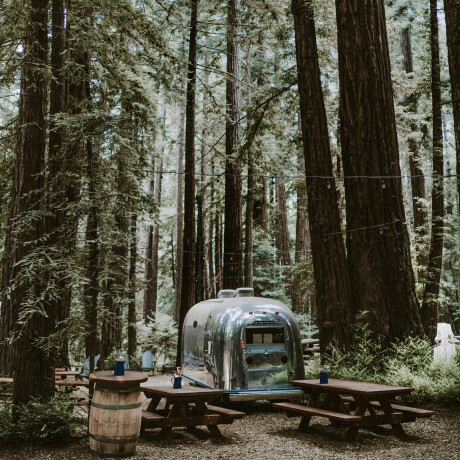 You know, in case you’re already planning your next trip! 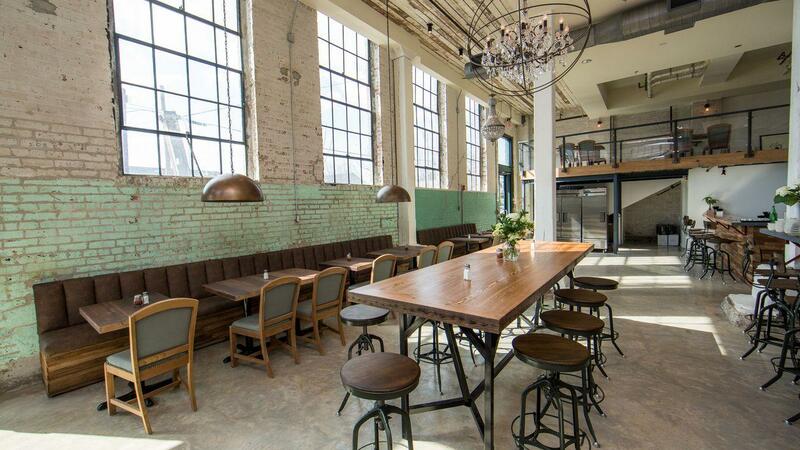 A new Marigny hotspot, this soaring-celing loft space is a gorgeous venue for a group meal. With leather banquette seating, gorgeous light fixtures, lots of wood and exposed brick, Paladar 511 feels historic with a modern edge. The brunch menu is incredible and includes fuel-up goodies like lemon ricotta pancakes and crab benedict on cornbread. 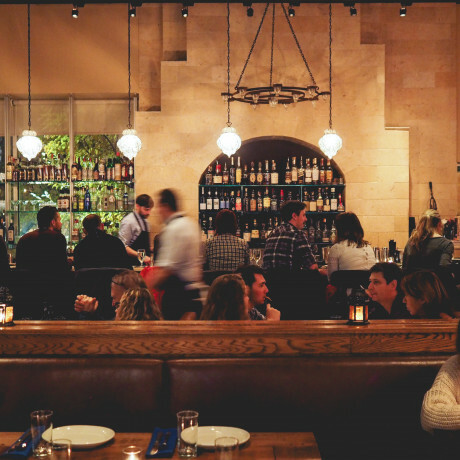 The dinner menu is chockfull of hand tossed pizzas, pastas and other Italian fare with a slightly southern twist. This is a great pre-parade stop and it’s set in an adorable neighborhood that’s well worth checking out. Surely with all the celebration going on during Mardi Gras, you’ll need some coffee to keep your energy going. You’re in for a treat because New Orleans has a ton of local coffee shops to choose from. A favorite in the Lower Garden District, French Truck is a micro-roaster with high quality beans and plenty of options for pour-overs, espresso drinks, shaken iced coffees and more. When these guys are roasting their small batches, the smell fills the whole neighborhood. Their coffee beans make a great gift for friends back home too! 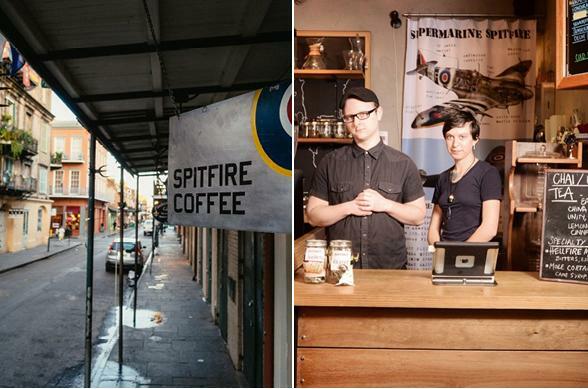 Every neighborhood of this town has its own “best” coffee shop and Spitfire is perhaps the most beloved of the French Quarter, besides the ever-championing Café du Monde. 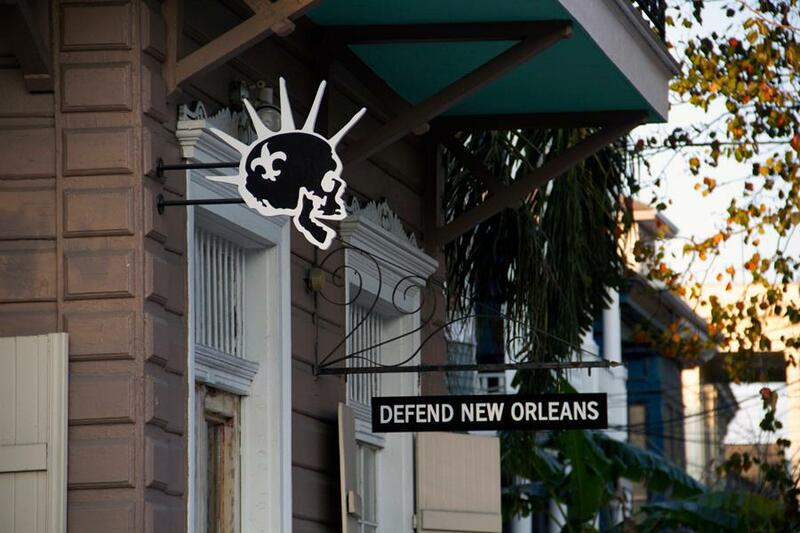 Spitfire is anything but touristy in spite of its location right off of Jackson Square. Expect lots of interesting coffee options, including bitters and coffee pairings. This is a great hole-in-the-wall pit stop on a walk through the Quarter and the molé mocha is out of this world! 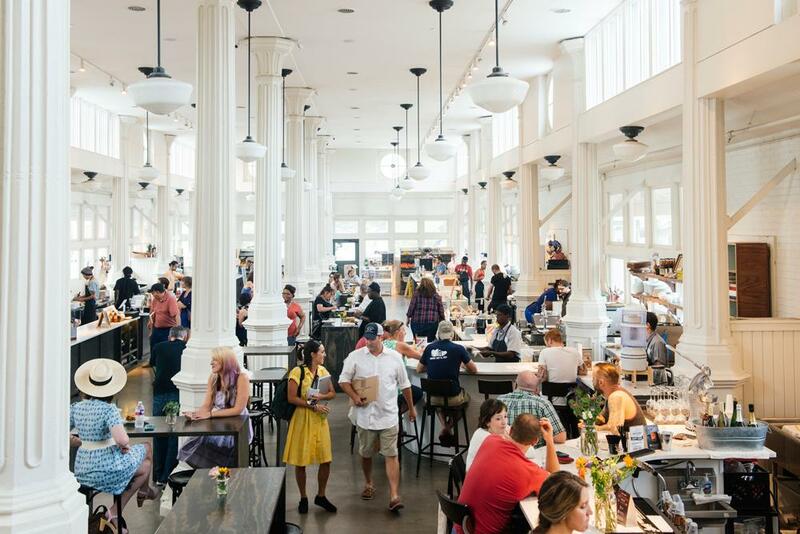 This gorgeous airy marketplace with high ceilings and lots of white space has become home to 15 vendors since opening in Spring 2015, including everything from coffee to cocktails to oyster purveyors. 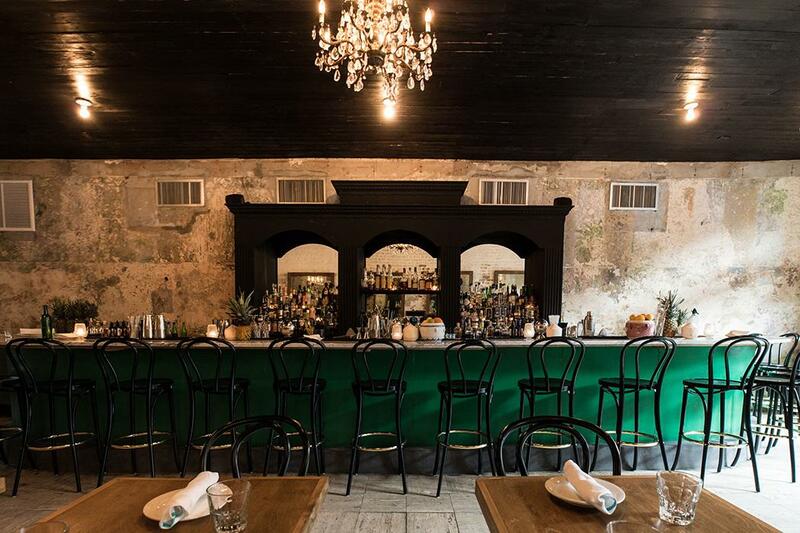 A fab stop to grab a quick bite while in the Marigny or Bywater area, this spot is an attraction for locals and tourists alike. The space is bookable for private events and would make for one incredible late night dance party during Mardi Gras. 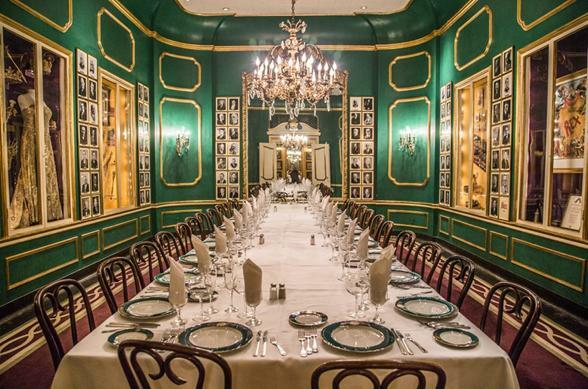 There’s really not any other way to put it, Galatoire’s is THE place to enjoy Friday lunch in New Orleans. Seriously. That’s how insane this town is – there are so many food traditions here you’d be overwhelmed. The Bourbon Street restaurant doesn’t accept reservations and there’s a line around the corner by the time they open at noon. Holiday weekends are particularly crazy, with the Friday before Mardi Gras being no exception. Jackets required, y’all! 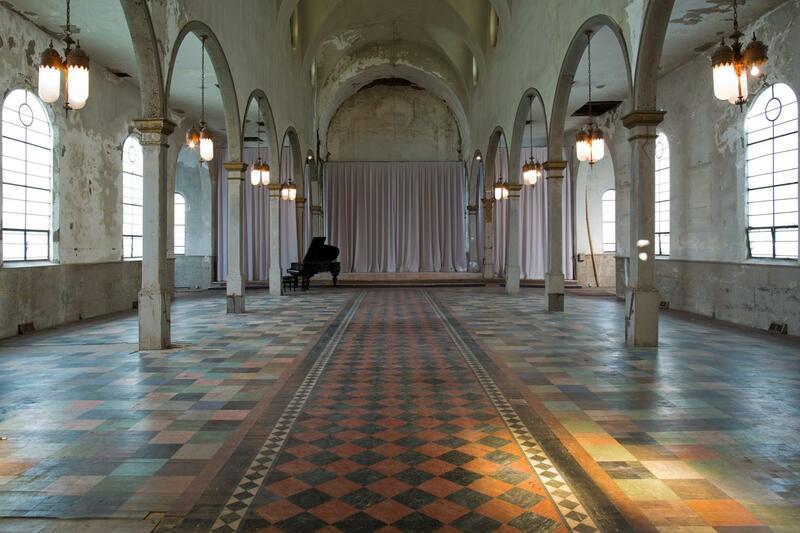 Garnering lots of media attention for being Solange Knowles’ wedding venue of choice, this neighborhood cultural center was originally built to be a Catholic Church. These days it functions as home to a contemporary ballet troupe, film screenings, concerts, plays and more. 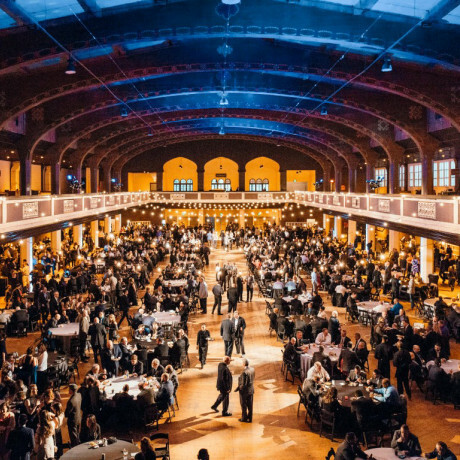 The space operates as a non-profit and takes on a few private events per year to support their arts foundation. 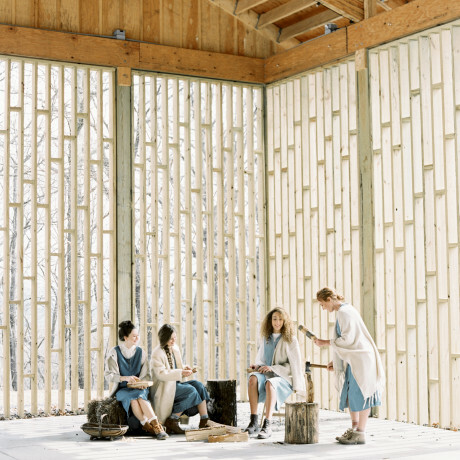 The structure is phenomenal, with both indoor and outdoor space on point. Even if you don’t have a chance to throw a kickass dance party here while you’re in town, try to pop by during the day to see ballet rehearsal and scope out the breathtaking building in all its decrepit, raw wooded, high-ceilinged glory. 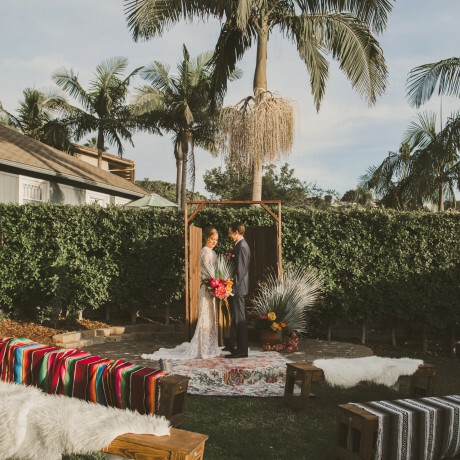 Originally used as an open-air market in the early 20th century, this white stucco hacienda style structure has recently been revamped as an event venue. 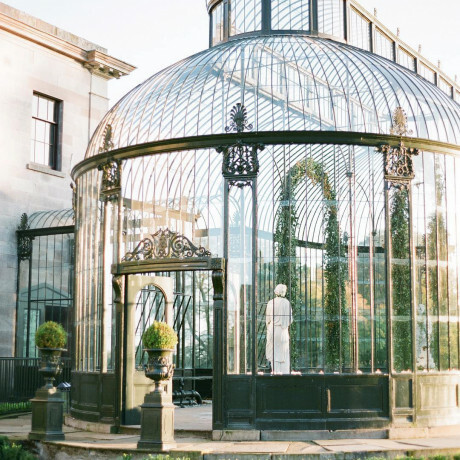 This gorgeous Lower Garden District venue can fit up to 400 guests with both indoor and outdoor space. Joel’s Catering runs the joint and they’re one of the top catering operations in this culinary-obsessed city. 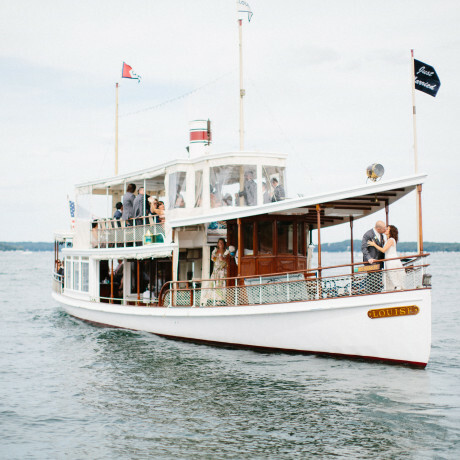 Be sure to book in advance if you’re hoping to throw a bash at this very popular party location. This 1830s Creole townhouse in the French Quarter is the epitome of Southern Hospitality. 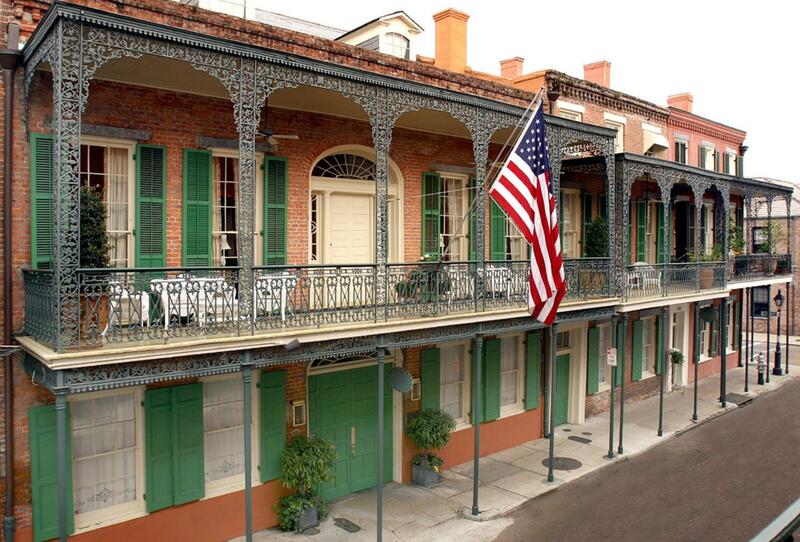 A traditional New Orleans boutique hotel, the cozy rooms are filled with antiques and classic artwork. 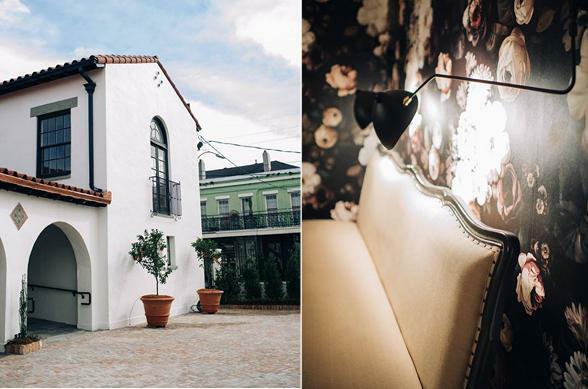 With all its old exposed brick, wrought iron balconies, and stunner of a tropical courtyard, this little inn is one of Nola’s most charming. 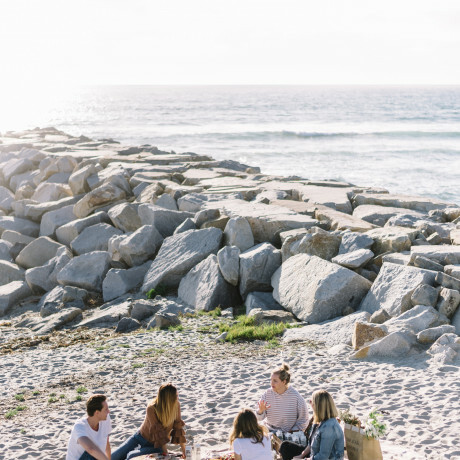 The location would be fantastic for Mardi Gras, as everything it pretty walkable from here, but also secluded enough to provide a restful rejuvenation spot when you’re ready to unwind. 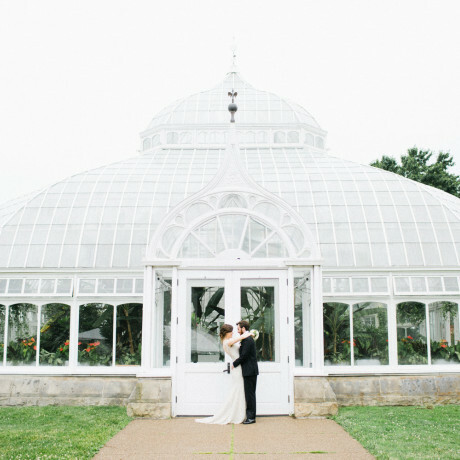 Thinking about checking out some wedding venues while you’re visiting New Orleans for Mardi Gras? Look no further than Race and Religious. This two-story Greek Revival townhouse is in a neighborhood that’s just a few minutes from downtown, with slaves quarters and creole cottages that provide lodging for about 15 guests on-site. 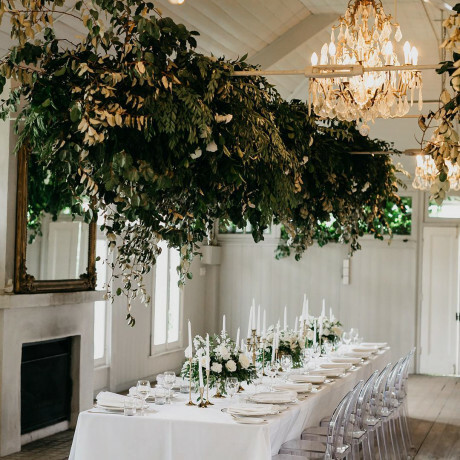 The romantic courtyards provide a charming, rustic backdrop for a wedding ceremony and one courtyard features a pool that’s beautifully lit at night. 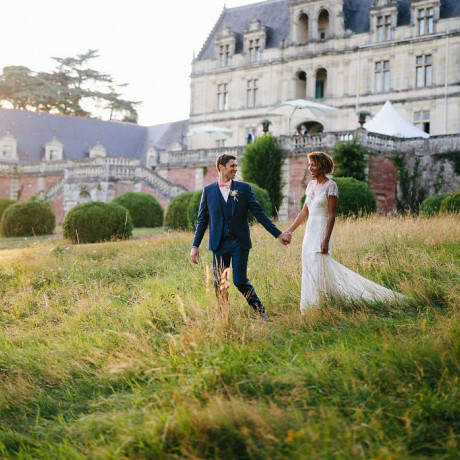 So moody, so romantic! Solange Knowles and her creative crew opened up this French Quarter boutique in 2014 and Exodus Goods has garnered a cult following ever since. The artistic owners have a great eye for design and represent only labels they absolutely love. 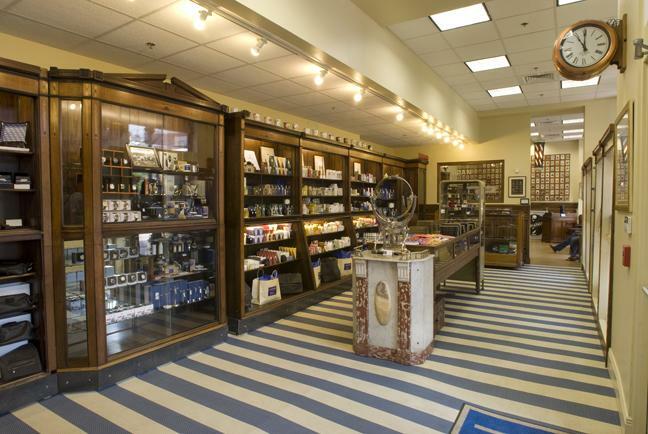 Local products from DVRA (handmade accessories) and Smoke (perfumes and scrubs) can be found here alongside major labels like Ace & Jig and Brother Vellies. If you’re about the Solange life, keep an eye to instagram for record label @saintheron to announce any of their impromptu parties. These late night scenes feature the best DJs and typically sell out within hours of announcing location. Tickets are worth every bit of the $7 cover charge. A beautiful 19th century corner store structure that exudes age and history, the Tigermen Den has been preserved of its original wood flooring, oak walls, and red shutters. 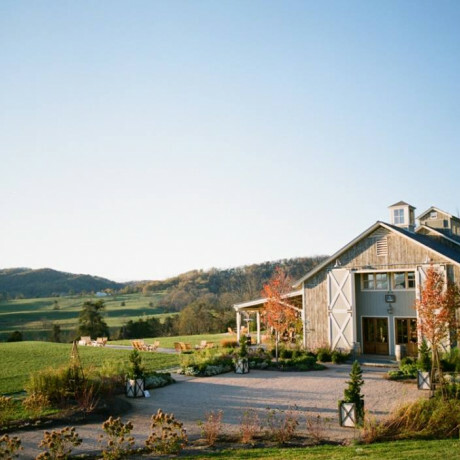 The space is available for private event rentals year-round and often hosts their own bashes. One Sunday a month, they throw a Cajun Fais Do Do brunch that is as Louisiana as it gets – cakewalk dances and all! 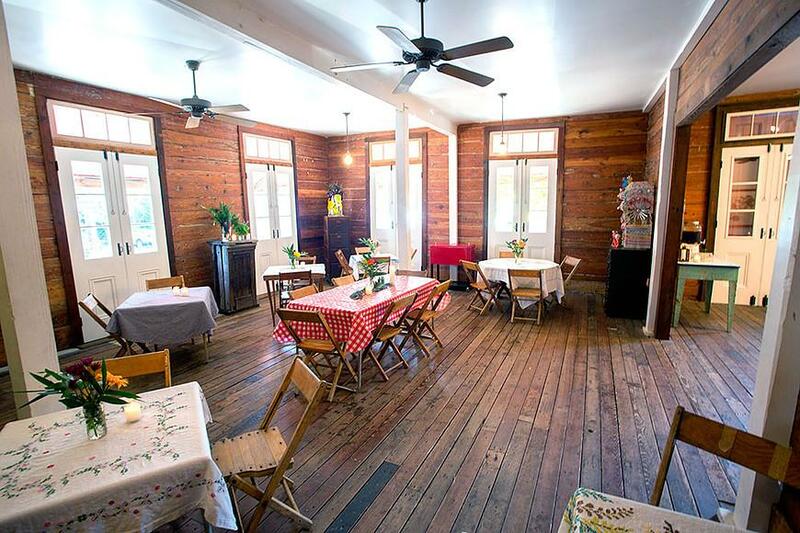 This old carriage house turned restaurant is a total crowd pleaser for anyone looking to throw a small group gathering while in New Orleans. The atmosphere is moody and unpretentious, while the menu is built as a gastropub with a local and seasonal spin. The fried chicken sandwich is not to be missed. If the weather is cooperative, the courtyard is lush and romantically lit at night. Be sure to get the backstory on this historic building – ghosts, brothel owners and all. Sylvain is sure to be packed this time of year, so make that reservation. Donald Link’s Cochon Restaurant is one of the most famous Cajun restaurants in the city (contrary to popular belief, New Orleans is a predominantly Creole city, so Cajun restaurants are more likely to be found “out on da bayou”) and it’s one hundred percent worth a reservation if you’re able to make it in for a dinner of rabbit and dumplings or fried alligator and boudin. 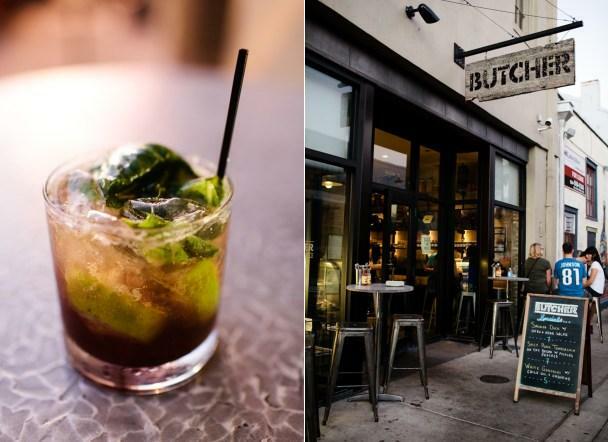 Sister restaurant, Butcher Swine Bar, is located right next door and provides an awesome quick alternative if you and the party crew are hoping to soak up Mardi Gras booze with a muffaletta (the BEST in the city!) in a cool, casual space with roll-up garage doors. The breeze could probably do you some good! Fellas, if you find a new cherie while making the rounds in New Orleans or if you simply need a clean shave to feel better about all the late nights of partying, we highly recommend stopping in for a beard clean-up at Aidan Gill on Magazine Street in the LGD or Fulton Street in the CBD. Like many things in the Crescent City, stepping foot in this barbershop is like taking a step back in time. Haircuts and shaves are $40, the service is impeccable and there are lots of souvenir options if you’re looking for a good gentleman’s gift. Offering a classic Creole fine dining experience, this time-honored New Orleans staple has been in the restaurant biz for almost a century. The wine list is extensive, service impeccable, and the food is the epitome of New Orleans cuisine. If you’re not able to make it in for a whole meal, be sure to check out their little French 75 bar next door and grab an order of soufflé potatoes to go with your cocktail. If you’re in the mood to see a bizarre gallery/shrine only to be found in this town, pop upstairs to check out their Mardi Gras Queen museum. 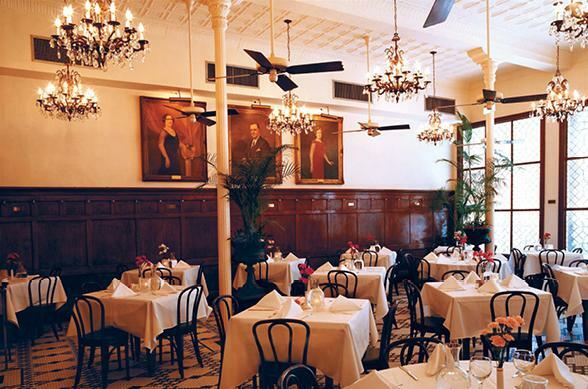 Arnaud’s also has private dining options galore if you’re looking to throw a dinner celebration. Another classic old school New Orleans restaurant, Antoine’s in the French Quarter has been in the same family for five generations. You’ll notice that most locals know exactly how many generations their families have called New Orleans home and will gladly tell you all about when their mama’s mama’s mama came here on a boat from sicily, while sharing a bottle of wine with you. Antoine’s boasts 14 dining rooms of all sizes and décor types, so this is the go-to if you’re planning a fine dining evening with a group of any size. 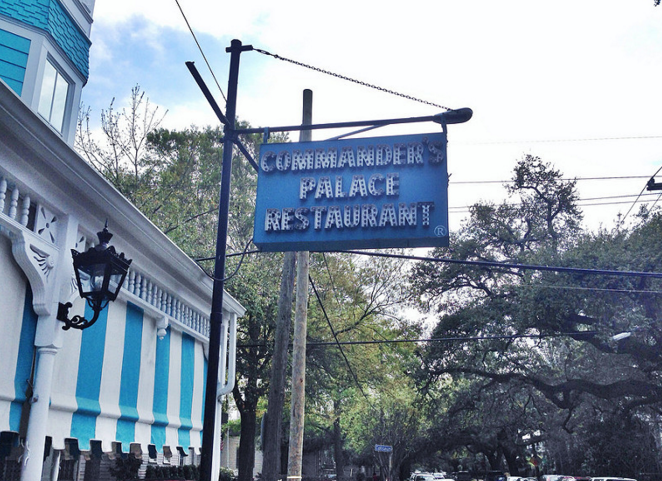 A New Orleans institution, Commander’s Palace is about as Uptown in mindset as it gets, in spite of its Garden District location. But fear not, as they’ve maintained their weekday lunch special of .25 cent martinis for as long as we can remember. The food is rich and dessert is a must-have. Their turtle soup recipe is the best you’ll find in New Orleans and the white chocolate bread pudding will surely soak up all those martinis you’ll be slamming back for mere quarters. Don’t be scared by the bright blue paint exterior, the rooms are beautiful inside with gorgeous views of the surrounding Garden District neighborhood. Be sure to check the dress code before heading over and allot a little extra time to take a stroll through the cemetery across the street. Love love love everything about this sunglasses shop. 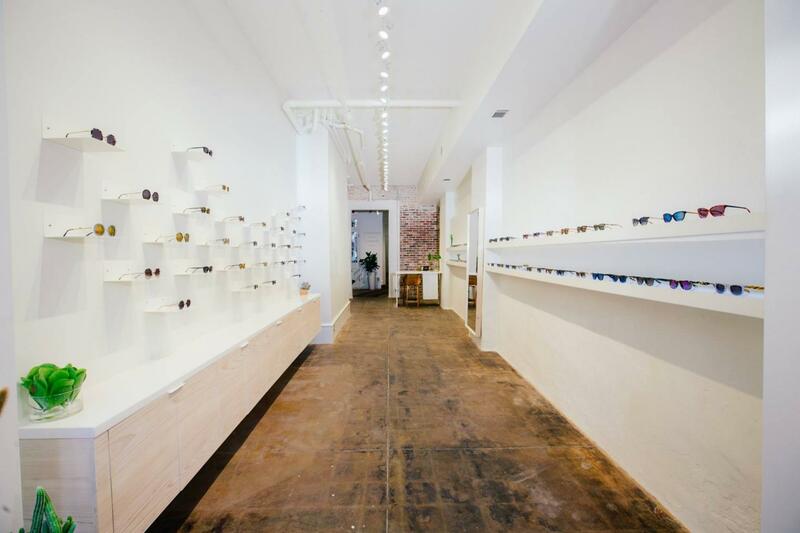 Krewe du Optic isn’t just a great place to buy stylish eyewear adored by the likes of Gigi Hadid, but the back of the shop has a cute little alley courtyard and a great coffee bar. The krewe that work here is so much fun to chat with and it’s a great place to take pause in the Quarter if you’re looking for a little momentary escape from the crowds. Besides, with all those outdoor day parades, you might actually need to pick up a pair of new shades. One of the only reasons locals set foot on Bourbon Street during Mardi Gras is this nearly three hundred year old bar. 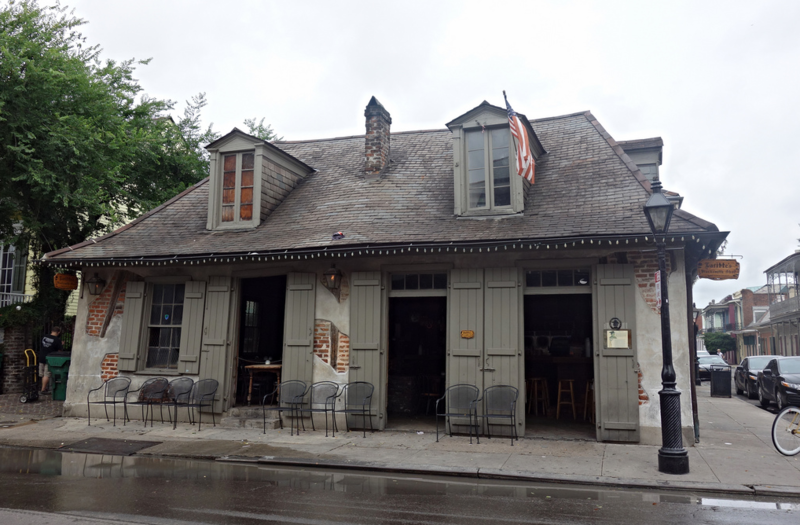 Lafitte’s, built around 1722, remains a New Orleans icon and destination for tourists and locals alike on Mardi Gras Day. Famed for their purple drink, also known as a Voodoo Daiquiri, Lafitte’s is prime real estate for watching Mardi Gras come to an end. Most revelers of the St. Anne marching parade (one of the city’s less formal, impromptu parades) usually end the day here, if they make it past R Bar. This tiny LGD boutique is a local favorite for picking up gifts made by New Orleanians. 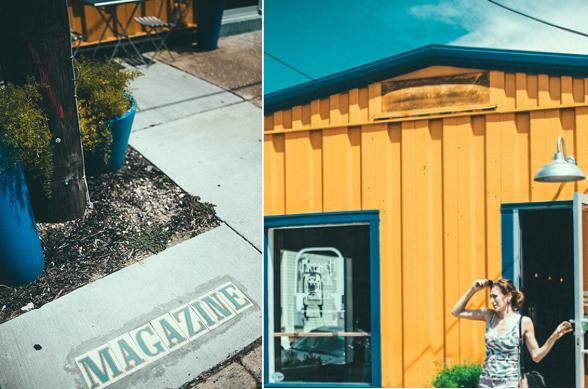 Owner Jac Currie does a phenomenal job of curating local artists and artisans to sell the best prints, tees, books, photography, and nik naks that celebrate New Orleans culture. Plus, he’s a badass photographer and quote finder, making him one of our top instagrammers to follow in New Orleans right now (find him @defendnola).